Did you know that The Lovers card can be used to help you let go of an unhealthy partnership? A Hermit card stuck in your shoe can help you pass an exam? The “disastrous” Tower card can actually be called upon to give you a limousine ride to your best destiny? 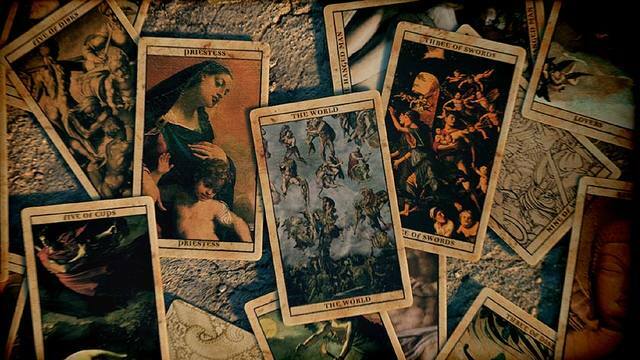 While many people are aware that the Rider-Waite-Smith tarot is an amazing system for accessing deep spiritual wisdom, what most haven’t realized is that it’s also a powerful and practical tool for manifesting all that we dream and desire. Go beyond the valley of the fortune teller and use your tarot deck to manifest your best life. This is a hands-on workshop where you will make a personal tarot spell charm for your own intention. Students of all levels are welcome - you do not need to have experience with the tarot or spells to participate. Book signing after the class. Madame Pamita is a tarot scholar, spellworker, teacher, podcaster, YouTube personality, author, and owner of Madame Pamita's Parlour of Wonders (parlourofwonders.com) - an esoteric emporium located in Los Angeles, California. She is a self-described witch and New Thought Spiritualist and teaches about tarot, magic, the law of attraction, spirit guides and past lives. She is the author of Madame Pamita's Magical Tarot, a book that teaches how to use tarot cards not just as a fortune telling device, but as a tool to change your life.